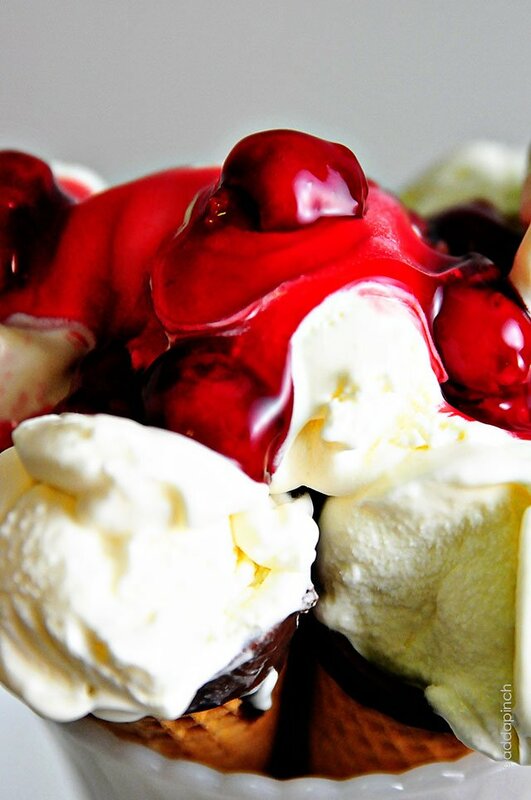 What’s not to love about Cherry Cheesecake Ice Cream? So rich, creamy, and topped with the quintessential cherry on top. Whenever I have cheesecake, I always love to top it with just a little something extra – strawberries, peaches, or even blackberries work perfectly. But, never are they as delicious as my favorite cherry topped cheesecake. 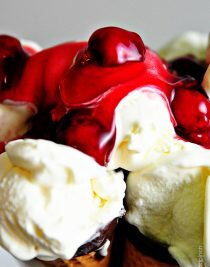 The tartness of the cherries mingled with the rich, creaminess of the cheesecake always draws me in. 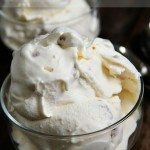 So, as I started thinking of a fun ice cream for the upcoming holiday festivities and summer celebrations, Cherry Cheesecake Ice Cream immediately came to mind. If you’ve never tried a cheesecake ice cream, let me just tell you that you need to amend that as quickly as possible. My recipe is filled with delicious, creamy ingredients that give you an outstanding ice cream full of cheesecake flavor. 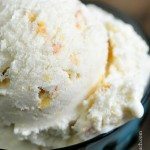 Whole milk, heavy cream, and cream cheese mingled with sugar, vanilla, and a hint of salt round out this delicious ice cream recipe. 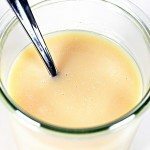 I’ve found that I like to dissolve my sugar and cream cheese into the milk and cream and mix with the remaining ingredients and then chill overnight for the best results. It helps the ice cream have the creamiest of textures and it is ready to serve even sooner! 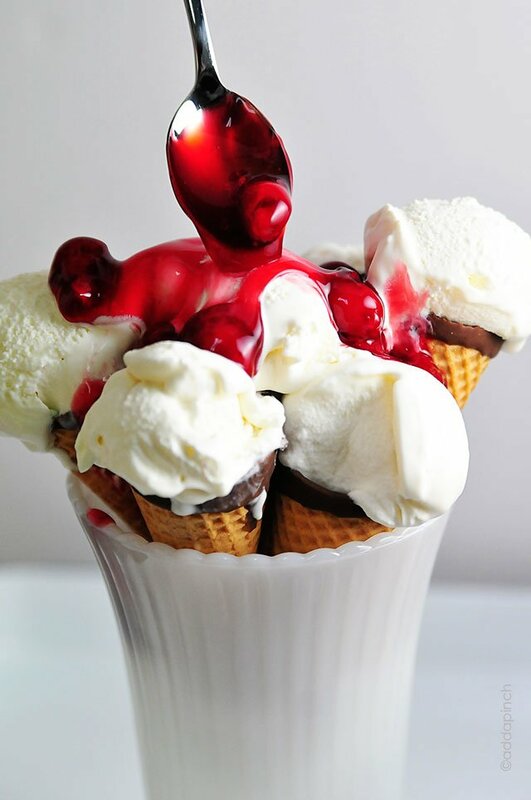 And then serving it with a generous topping of cherries just takes it to a whole new level! Here’s my Cherry Cheesecake Ice Cream recipe. I hope you love it as much as we do! Cherry Cheesecake Ice Cream makes a perfect cheesecake lover's ice cream. Full of rich flavor and the creamiest of textures. 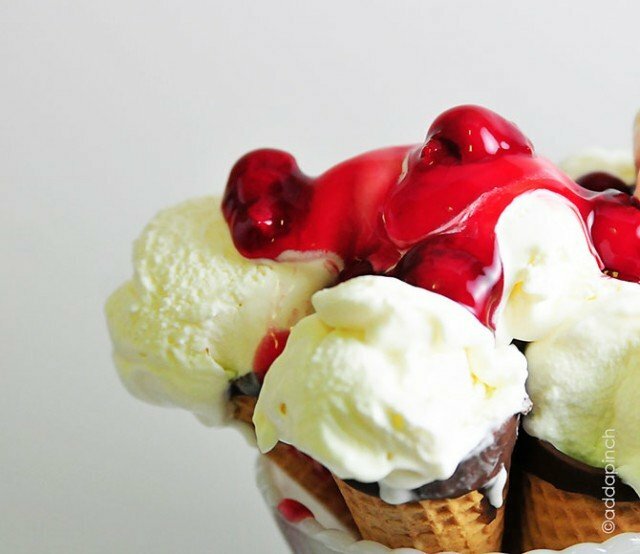 Get this favorite Cherry Cheesecake Ice Cream recipe to serve at your next party! Combine cream, milk, sugar and cream cheese in a heavy-bottomed saucepan over medium-low heat. 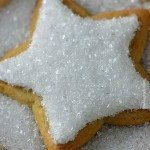 Whisk continuously until sugar has dissolved and cream cheese has completely combined with cream and milk. Remove from heat and add vanilla and salt. Pour into an airtight, freezer-safe container and chill in the refrigerator overnight. Make ice cream according to your ice cream maker's instructions. Top with fresh cherry sauce or cherry pie filling for serving. Store any remaining in an airtight, freezer-safe container in the freezer. Prep time includes average time for ice cream maker to churn ice cream. Whoa! Robyn! This sounds incredible and your photos are so cute! Are you even kidding me right now?! Looks fab! And I’ll make it next weekend! However, I live 8miles from Wisconsin so I know where my cream is coming from…and it’s not CA…sorry!! WOW! This looks absolutely incredible. Love cheesecake ice creams, and love the presentation too!! That recipe sounds amazing! 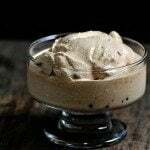 I’m in homemade ice cream mode right now (I guess since it’s summer) and I just made Espresso Chocolate Chipped Ice Cream, if you’d like the recipe, here’s the linkhttp://www.homehatchery.com/homemade-espresso-chocolate-chipped-ice-cream/ Thank you for sharing! That looks so delicious and colorful! Im loving this whole dairy month thing! This looks amazing! Oh my! This is certainly a drool worthy dessert 🙂 I can’t wait to try this! WOW! I’ve gotta make this ice cream ASAP! But, I won’t be using the California products. Unfortunately, I’ve never even noticed “California” on any dairy product I’ve purchased. I’ll just hope and pray that regular dairy products will work out. I’m loving your recipes. Thanx for sharing. seem like a long, drawn out process. Do you ever send patients letters? Okay girl, You got me going out to buy an ice cream maker tonite. This will be a recipe I’ll be making for sure. I made this recipe last summer and it was awesome. I had to make it twice. I made too the cherry topping and it was outstanding. I recomend it. I was looking forward for this recipe again because I lost it and I am so happy to find it again. I almost have the ingredients to make it this weekend.